"Dr.Jacob Waldrop is the best! He takes his time and is very knowledgeable. All of the staff is amazing, so easy to talk to, and very professional." Staff is awesome as well." 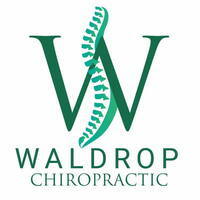 "I saw young Dr. Waldrop and he is so nice and friendly and he really listened to me . He even tried what I suggested and that hooked me. I will keep him as my chiropractor. Thank you Dr.. Waldrop." "Two visits and back spasms practically gone. Definitely recommend this office. The staff and Dr. Jacob Waldrop are awesome!" "The sweetest staff here! Always feel much better when I leave. My husband said after his first visit that he felt better than he ever had before." "I can honestly say that Greg truly enjoys his work and enjoys taking care of his patients!! He is very blessed with an amazing staff and now having Jacob join in practice has been a dream come true!! I'm very proud of these two! !⭐️⭐️⭐️⭐️"
"Great staff. AAA+++ Glad I made the switch. Very understanding and listens"
"Very short wait time/in and out quickly. Very personable and effecient. Friendly staff. Recommend highly"
"Been going to Greg for over 20 years. Great work and everyone is extremely friendly." "Awsome he's wonderful help me lots they very friendly and caring would not go anywhere else"
"I have been going here for years. The whole staff is very friendly and very professional. The doctors are very caring. Great place to go if you are in pain."